After leaking a video last year showcasing Apple’s iPhone X, reliable leaker @OnLeaks has again shared a video detailing what claims to be new iPhone models launching this fall. A partnership with Tiger Mobiles, the video details what is allegedly Apple’s larger OLED ‘iPhone X Plus’, along with a 6.1-inch model which is expected to be an LCD version. From the video, the designs are similar to what we saw last year with the iPhone X. We have phones with shiny sides (either aluminum or stainless steel as possibilities) and glass on the front and the back. 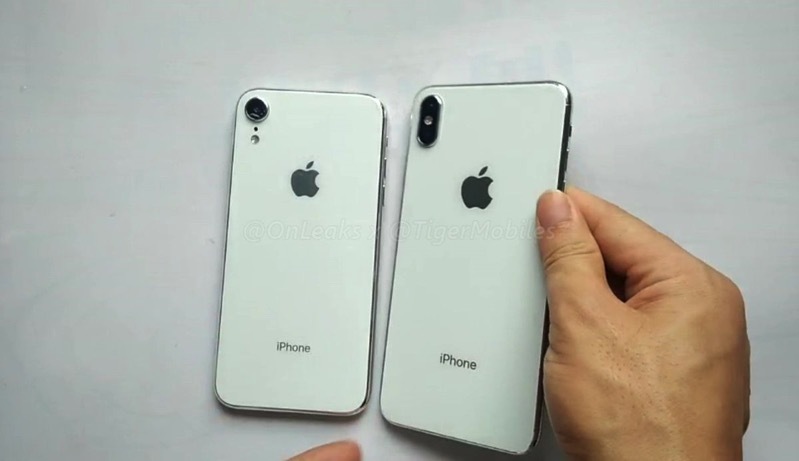 The smaller phone has a single lens camera on the back, compared to two lenses on the larger model, in what is supposed to the new ‘Plus’ model. How did these dummy units come to life? They usually are made from leaked schematics from Apple’s supply chain, yet again. New colours are supposed to emerge this year for 2018 iPhone models, with possibilities being gold, gray, white, red and blue.